In the wise words of Bill Hill who developed the concept of Perpetual Traveller, the most dangerous place in the world is where you are right now! 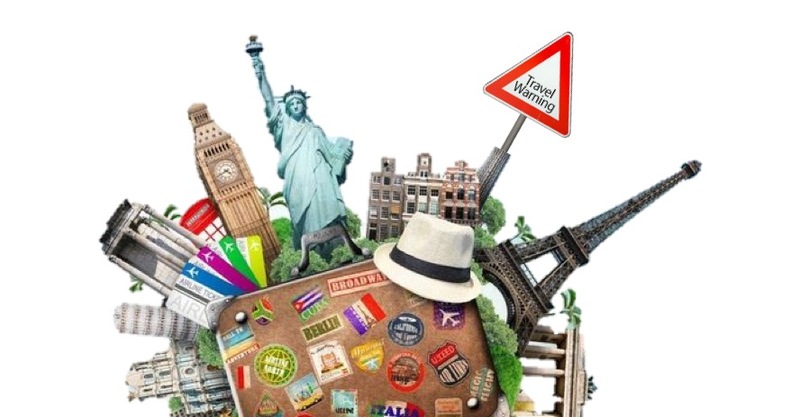 Most Perpetual Travellers explore and travel to new countries relentlessly around our planet, however there are risks associated to this, hence Perpetual Traveller Overseas will now develop a Weekly Report to warn you about travel risks. Here is our first release! A number of protests are expected to take place across Brazil over the coming weeks in response to political developments. Roads and public transport may be severely disrupted. Avoid areas where demonstrations are taking place, monitor local media and follow the advice from the local authorities. A number of British and foreign visitors have died in Vietnam while engaged in adventure tourism in rural areas; don’t stray off main routes and, where required, take a reputable guide; (Road travel) - updated information on taking taxis. Updated information and advice about the threat from terrorism following a review of the way in which the UK government describes the threat from terrorism in travel advice for all countries and territories; there’s no change in the UK government’s assessment of the level of threat from terrorism in South Korea. Updated information and advice about the threat from terrorism following a review of the way in which the UK government describes the threat from terrorism in travel advice for all countries and territories; there’s no change in the UK government’s assessment of the level of threat from terrorism in Hong Kong. A violent armed attack involving a group of tourists, including five British nationals, was recently reported at La Laguna, Pasaco, in the department of Jutiapa. Air Zimbabwe has been refused permission to operate flights to the EU because the airline has been unable to demonstrate that it complies with international air safety standards; British government employees travelling to and within Zimbabwe have been advised to use carriers that aren’t subject to the EU operating ban. Terrorist attacks in The Gambia can’t be ruled out. As seen in Mali, Côte D’Ivoire and Burkina Faso, terrorist groups continue to mount attacks on beach resorts, hotels, cafés and restaurants visited by foreigners. Be especially vigilant in these places. Updated information and advice following a review of the way in which the UK government describes the threat from terrorism in travel advice for all countries and territories; there’s no change in the UK government’s assessment of the level of threat from terrorism. On 12 May 2017, 3 people were killed and 9 others injured after being shot by gunmen in Al Musawara village in Al-Awamiya, Qatif, Eastern province; on 16 May, also in Al Musawara, one police officer was killed and 5 others injured by a rocket-propelled grenade (RPG) fired at their vehicle. Dhaka police have highlighted the increasing number of criminal gangs operating in the city and reminded people to be aware of potential threats including robbery and violent crime. Updated information and advice following a review of the way in which the UK government describes the threat from terrorism in travel advice for all countries and territories; there’s no change in the UK government’s assessment of the level of threat from terrorism in Tajikistan. The government reached an agreement with disgruntled elements of the armed forces on 16 May 2017 resulting in soldiers ending their protests, lifting roads blocks and returning to barracks; you should remain vigilant near military barracks, military installations, large crowds and demonstrations; monitor local media and follow instructions given by local police and security personnel.